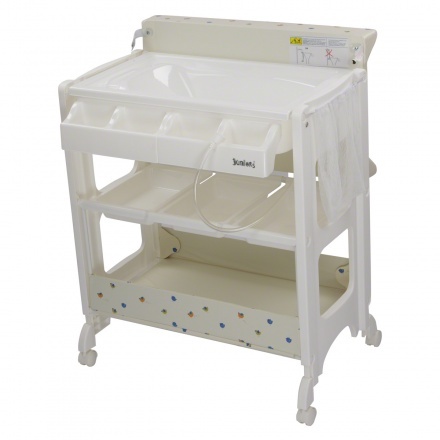 Juniors Baby Change Table Supreme | Beige | It has a removable tub for easy cleaning. 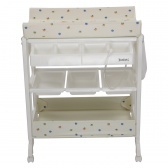 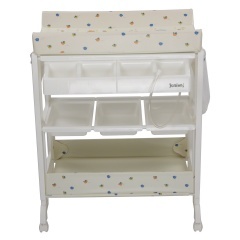 Add convenience to bathing and changing your baby's diapers using this change table from Juniors. 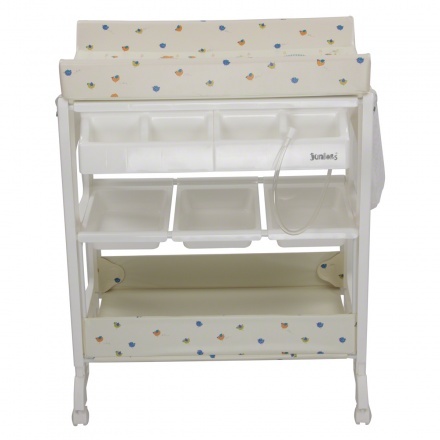 Featuring an appropriate-sized tub, this table has an attractive print of birds and has compartments to keep essentials like diapers and powder. 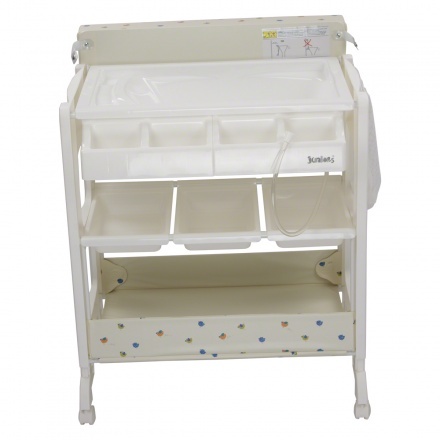 Feature 1 : It has a removable tub for easy cleaning. 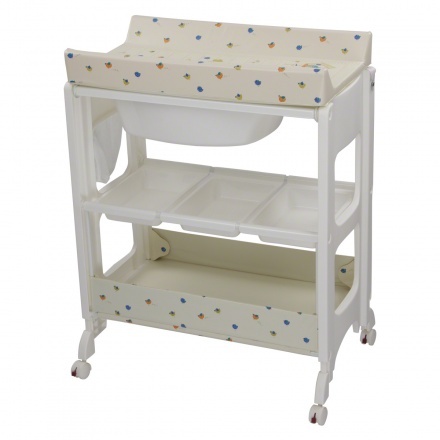 Feature 3 : It has wheels for easy mobility , It can take up to 11 kgs. 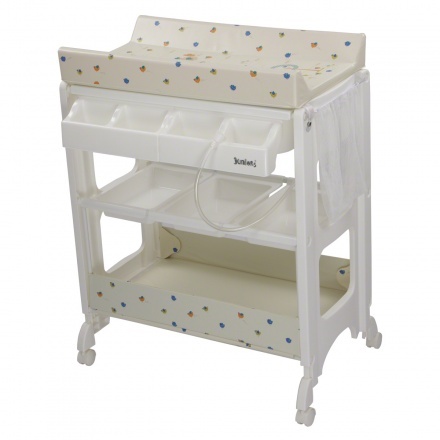 Feature 2 : It is equipped with a changing mat-hose for draining the water.